Go to the YA Scavenger Hunt page to find out all about the hunt. There are THREE contests going on simultaneously, and you can enter one or all! I am a part of the GOLD TEAM--but there is also a red team and a blue team for chances to win a whole different set of twenty signed books! Today, I am hosting Rita Arens on my website for the YA Scavenger Hunt! 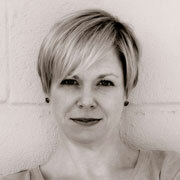 Rita Arens is the author of contemporary young adult novel THE OBVIOUS GAME (InkSpell Publishing, 2013). She is also the editor of the award-winning parenting anthology, SLEEP IS FOR THE WEAK (Chicago Review Press, 2008), and the co-editor of food anthology ROOTS (Open Road Media, 2013). 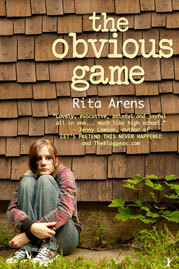 For playlists and excerpts from THE OBVIOUS GAME, visit ritaarens.com and click on Young Adult. Rita is currently working on her second young adult novel. "Everyone trusted me back then. Good old, dependable Diana. Which is why most people didn't notice at first."" Fifteen-year-old Diana Keller accidentally begins teaching The Obvious Game to new kid Jesse on his sixteenth birthday. As she buries her shock about her mother's fresh cancer diagnosis in cookbooks, peach schnapps and Buns of Steel workouts, Diana both seduces athlete Jesse and shoves him away under the guise of her carefully constructed sentences. As their relationship deepens, Diana avoids Jesse's past with her own secrets -- which she'll protect at any cost. Will Diana and Jesse's love survive his wrestling obsession and the Keller family's chaos, or will all their important details stay buried beneath a game? My novel is called THE OBVIOUS GAME, and it's written in first-person from the point of view of 15-year-old Diana. Evelyn is Diana's mom, and their relationship is pretty rocky throughout the book. 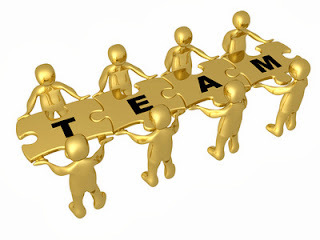 My exclusive content is part of chapter one written from Evelyn's point of view. Here it is! It was all I could do to get home from the store. When I walked in the door, I knew something was wrong. I heard Amanda’s voice in my room. Diana’s been friends with Amanda since they were little, and I can’t stand that girl. When they were seven or eight, Amanda convinced Diana to use my good sewing shears to make paper dolls when the regular scissors were sitting right there on the table. I can’t decide which of them makes me more angry: Amanda for pushing every boundary or Diana for not putting up a fight. I worried about my wigs. I couldn’t believe how much those things cost. I looked up a semester of tuition at the University of Iowa the other day. It’s $940. The wigs cost almost half that. It made me sick on top of the sick I felt from the chemo. I just wanted to look normal, not like the freak I felt like inside. I could barely drive, I was so tired. I paused, my hand on the doorknob. And then I heard Diana: “Amanda! You idiot!” My heart sank. When I walked into the bedroom, I saw them standing there, one of my wigs in the sink filled with water and what looked like hair gel. Three months of college, soaking up pink goo. I hadn’t even had them for a week. Diana’s face was terrified. She knew how mad I was, knew how mad I would be, but yet something didn’t make her stop that little wench Amanda from ruining my new hair. “What are you doing?” I tried to keep the shake out of my voice. I wanted to appear larger, not weaker. I wanted to loom as large as I did when they were in first grade and I caught them with their hands in the Halloween candy bucket. When they looked at me with real respect instead of scorn. “Diana was just showing me your wigs. They’re beautiful.” Amanda’s smile widened. I could tell she thought she was fooling me, which infuriated me even more. “Why is that in the sink, Amanda?” Maybe there was an explanation, a good one. I tightened my grip on the gallon of milk in my hand to keep from throwing it at Amanda. “Diana said you could style them because they’re made of human hair.” Somewhere inside, the anger exploded into ball of betrayal that spread out to every inch of my insides. My feet seemed to root to the ground, and all my energy evaporated. Getting through the day took everything I had. Getting mad used it up early. I didn’t have anything left for either of the girls. I just wanted them gone. Both of them. Amanda looked alarmed. Good. Maybe for once something got through her thick skull. I could see in Diana’s face she understood what she’d done, how I felt. So why didn’t she stop Amanda? When was she going to learn to stand up for herself, for me? When would she stand up for her sick mother? “It doesn’t matter. You let her. That is my hair.” I leaned on the words, trying to make her understand those wigs weren’t wigs. They were my dignity. “She’s hard to control, Ma,” Diana said softly, ducking her head. I turned to the hairless dummy head on her dresser, pulling the wig off my head. I set it on the dummy and turned to face Diana. She didn’t know I’d shaved my head, and when she saw me without my wig, she turned away, and I thought I saw fear. She used to look at me like I was her universe. How much had cancer taken? How much was left to take? Diana just stood there, her face turned from me, and I realized she wasn’t going to hug me, wasn’t going to process any of it. She was in shock. And I felt ashamed. She was just a child, my baby. I wanted to wrap her in my arms and rock her worries away. But that would take energy, and I didn’t have any left to give. “Get out,” I said, instead. As she rushed out the door, I collapsed on my bed and sobbed, not sure if I was crying for her or the mother I couldn’t be, the one who would've known what to say. And don't forget to enter the contest for a chance to win a ton of signed books by me, Cynthia Hand, and more! To enter, you need to know that my favorite number is 17. Add up all the favorite numbers of the authors on the gold team and you'll have all the secret code to enter for the grand prize!